Bad news Hip Hop fans, Drake's long awaited fifth studio album "Views from the 6" is about to go the same route as Kanye West did with his "The Life of Pablo" album, by making his new album an Apple Music exclusive at least for the first week. It comes as no surprise with streaming companies such as Spotify, Apple Music and Tidal trying to get one up on each other. 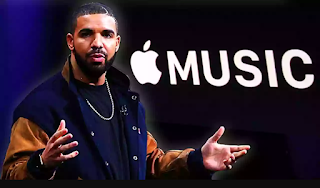 Thank Heavens that the Views from the 6 Apple Music exclusivity would just be a week long.